North American debut happening this weekend at Pebble Beach. 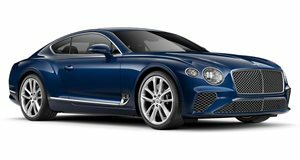 The Bentley Continental GT3-R will make its North American debut this weekend at Pebble Beach as the British carmaker attempts to lure buyers to snap up its GT3 race car inspired creation. Just 99 units are slated for the US, with prices starting at $337,000 and deliveries scheduled for the start of 2015. Bentley claims the Continental GT3-R is the “fastest-ever accelerating” road car it has ever built.